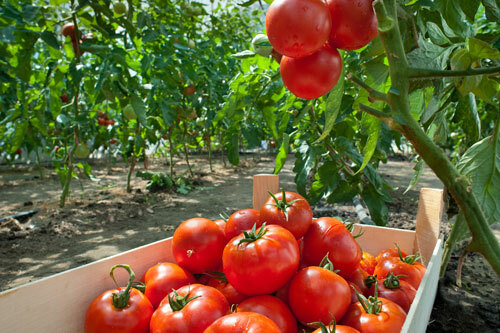 Savoring a ripe, juicy red tomato is one of the tastes that makes Summers memorable. Yet now we can purchase tomatoes any time of year. One purchased at the peak of ripeness in July or in the cold of Winter–both tomatoes, but are they really the same thing? Is natural always better? The trend towards natural products makes that assumption, but is it really true? How can a formulator of personal care products assure that their natural formulation has the same properties, performs the same way batch to batch? Plant properties vary depending on the season, weather patterns, the location of the farm/field, and/or how they are processed. Nature is not standardized. All of these variations can affect the characteristics of the products that these natural materials are formulated into. Nature-identical materials are chemistries that are found in nature, but produced synthetically. They are identical in structure and function to the natural chemistry, but without the variability found in nature. This makes them much more suited for formulating in to personal care products. This is particularly true for components that are critical to the formulation, such as preservatives. Variability in the composition of a preservative can mean the difference between a recall and product that will remain safe in the hands of a consumer for years. The exact composition of a preservative, more than almost any other personal care ingredient, cannot be subject to the whims of “Mother Nature”. schülke is known for the quality and consistence of its preservative blends. schülke’s non-traditional, antimicrobial stabilizer blends are tested to the same high standards as its traditional systems. The sensiva® line contains blends of natural, nature identical and gentle synthetic material that can be used to maintain the microbiological stability of personal care products. Half natural and half nature-identical, sensiva® PA 30 can prevent microbial contamination in a wide variety of formulations, both leave-on and rinse-off. sensiva® PA 40 works at levels similar to many traditional preservative blends. It can be used to prevent contamination even in hard-to-preserve systems, like high SPF sunscreens. Although one of schülke’s more traditional preservative blends, euxyl® 903 contains nature-identical benzyl alcohol and organic acids. Now stabilized with natural tocopherol, it can be used in products formulated to be NATRUE (including Ecocert) and COSMOS compliant. To be or not to be natural? Why not have both? Find out how schülke helps formulators bridge the gap.